Prime Minister BInyamin Netanyahu officially announced on his Twitter account Tuesdaythat he supports the candidacy of Minister Zeev Elkin for mayor of Jerusalem. "I support Minister Zeev Elkin as mayor of Jerusalem, and as Minister of Defense, and especially as Minister of Jerusalem Affairs, Minister Elkin worked hard for our capital and proved that he is close to his heart and dear to him. I wish him great success," Netanyahu wrote. It should be noted that Elkin has already announced his candidacy for the position, but the prime minister had deliberately delayed his public support for his candidacy. Last week it was reported that the Likud Municipal Committee, headed by the chairman of the Union of Local Authorities and Modi'in Mayor Haim Bibas, decided to cancel the primaries for the Likud candidate for mayor of Jerusalem. If primaries were held for the position of "Likud candidate for mayor of Jerusalem" and Elkin was victorious, he would be officially elected to be the party's candidate in the mayoral elections and receive a budget of millions of shekels for the election campaign. 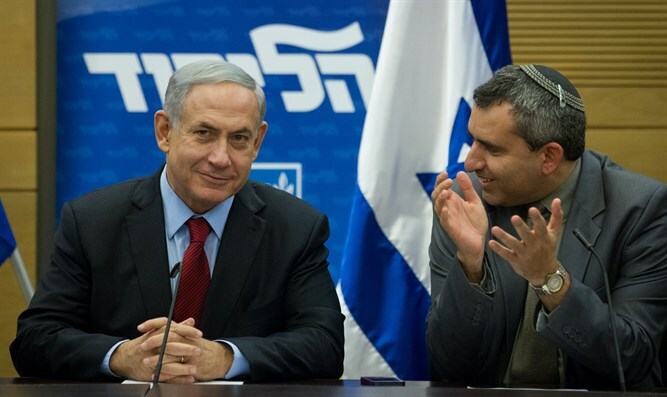 Following the decision, Elkin announced that he was running for the position independently, without the Likud's financial support.